Bangladesh Council Of Scientific And Industrial Research published a New Job Notice at www.bcsir.gov.bd. 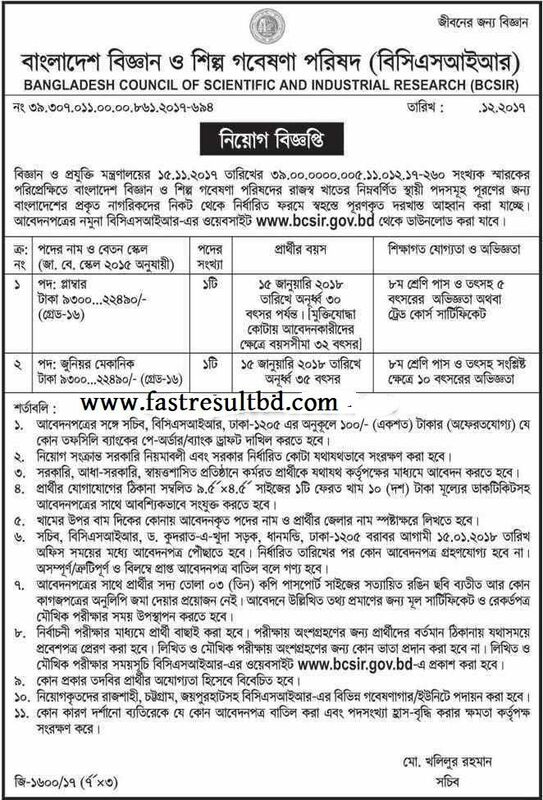 There is only two post available in BCSIR Job Circular 2018. The post name is Plumber and Junior Mechanic. Educational requirements for the post are Eight passes. And the salary range is 9300 Taka to 22490 Taka. Your age must be within 18 years to 35 years. Organization Name: Bangladesh Council Of Scientific And Industrial Research. Post Name: Plumber and Junior Mechanic. Total Post: 02 (Only Two). 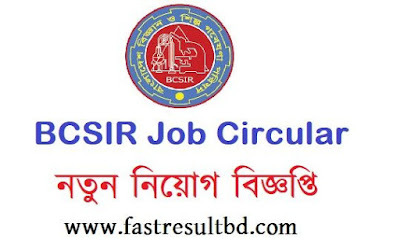 You have to download BCSIR Job Circular before apply. So, you can download the circular from fastresultbd.com and you can also download the application form from their official site. You have to download the application form. Then fill up the form and send to their office address. You have to attach three copy passport size photo with the application. The application fee is 100 Taka. Md. Faruque Ahmed is the Chairman of Bangladesh Council of Scientific and Industrial Research (BCSIR). The office address is Dr. Qudrat-I-Khuda Road, Dhanmondi, Dhaka-1205. Hope the article helps you with your search. Please, share this post on your social media.